Designed to Reset and Balance the Body. Dr. Todd Boyd Benefits of Laser Treatment *Individual Results may vary. It requires no computer, and there is no software to learn. We have made a complex science EASY! Address Pain & Nerve issues quickly and simply. Relief from allergy symptoms is highly effective with the PTL II. Most everyone will benefit with the PTL System. BioLight Technologies offers online training, live events, and unparalleled heroic customer support to ensure your team can put the system to work in your practice quickly and easily. Learn more about the Aura PTL II. Not all lasers are the same. 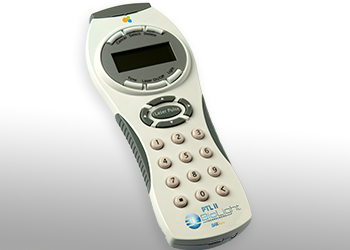 Learn how the PTL II sets the standard for low level light therapy. Our database of extensive research for practitioners is available to our subscribers. Get cutting-edge, proven research, right in your inbox. The Aura PTL II Low Level Laser Therapy System utilizes cutting-edge technology with the highest range of frequency therapy. It is unlike any other laser on the market today. This lightweight, handheld unit is ultra portable and provides proven results… fast. BioLight Technologies has made a complex science of Low Level Laser Therapy simple. You can be operational within an hour, providing patients with the relief they need. 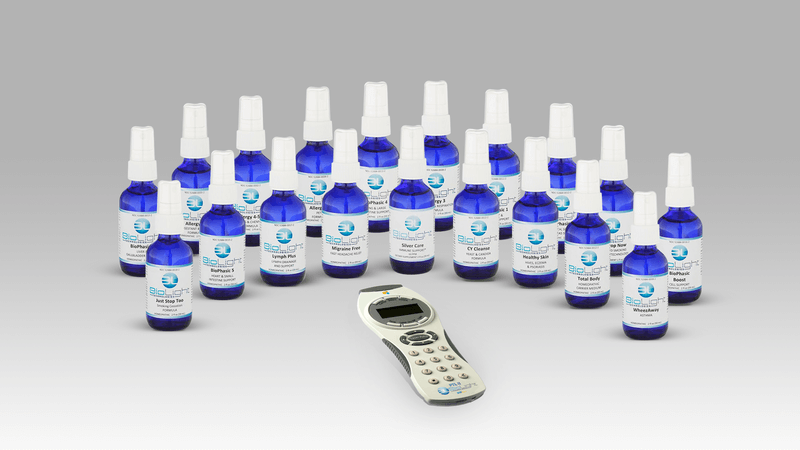 BioLight Technologies offers a comprehensive nutritional and homeopathic product line designed specifically to complement and enhance the effects of Low Level Laser Therapy and information induction. We offer a line of the most innovative products available on the market including a full suite of vitamins, herbal supplements, enzymes, tinctures and homeopathic medications. Our supplemental products easily incorporate into any nutritional program and integrate seamlessly into the protocols utilizing our technology. BioLight supplements are available for purchase at wholesale prices on our BioLight E-Store. For access to the E-Store, please call 877-229-3000 or contact us for access. Learn more about the supplements that support and complement our LLLT protocols. Our Low Level Light Therapy protocols work! See what our practitioners and their patients have experienced. A picture is worth a thousand words. 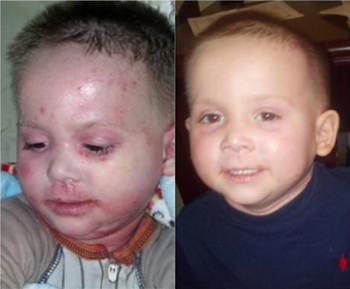 Before the Aura PTL II therapy, this little boy was suffering with a number of allergy issues. The Aura PTL II Low Level Laser Therapy System utilizes cutting-edge technology with the highest range of frequency therapy. It is unlike any other laser on the market today. This lightweight, handheld unit is ultra portable and provides proven results, fast. BioLight Technologies has made the complex science of Low Level Laser Therapy simple. You can be operational quickly, providing patients with the relief they need. This season has been absolutely the worst of fall allergies for one of my clients, also a health care practitioner. Usually she might have symptoms for a few days that resolve immediately with a homeopathic remedy for allergies. Not this year. She pulled out everything in her natural pharmacy; many different homeopathic combinations for hay fever, allium cepa, botanicals, nutritionals to no avail. She was miserable and was considering canceling appointments. I had her come in for a laser treatment. Since we didn’t have too much time I used only the seasonal settings in the Sensitivity protocol in one visit. She had immediate relief! Also, she started using BioLight’s Allergy 1 for seasonal relief, and it works amazing! She’s happy and I’m thrilled with the results I’ve been getting with the PTL II. We had a young 19-year-old girl come to our office for help with symptoms with Lyme’s. She had been in a wheelchair for 1.5 years. Her mother stated she was steadily going downhill, and they had gone everywhere with no improvement and no hope. We began treating her with the Aura PTL II. After her 7th visit, she ran into our office into my arms thanking me. She was out of the wheelchair and was improving daily and could see her health returning. Her mother cried the entire visit thanking us for giving her daughter’s life back. The “Just Stop!” protocol is amazing! We have seen eight patients and are very pleased to report that 7 of the 8 are smoke free. Six of the 7 have been smoke free for over 45 days. The therapy blows you away because it’s so fast and easy, the patients simply report the cravings are gone, little or no withdrawal symptoms, heightened sense of smell and taste and no desire to smoke. This may be the easiest, most effective and most profitable modality we’ve ever added to our practice! Dr. Hall, D.C. The data is amazing. Read more testimonials about what the PTL II can do for your patients… and your practice.